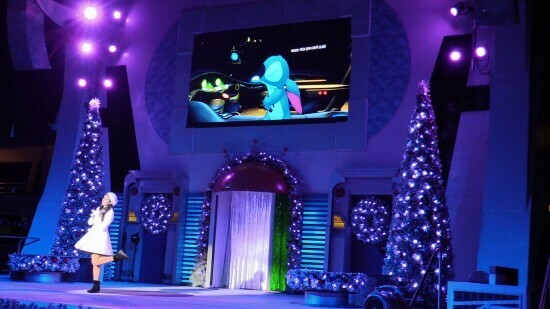 Christmas time is almost here and to help you celebrate the season in a totally far out way, look to your friends Buzz Lightyear, Mike Wazowski and everyones favorite little troublemaker you can help but love.. Stitch! 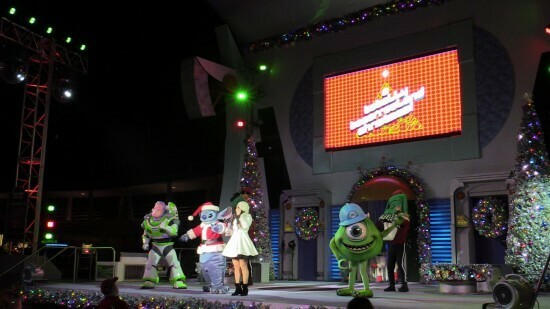 All three gather along with the vocalist and host, Haley Comet, in a wild and wacky yet adorable stage show full of song, dance and story. 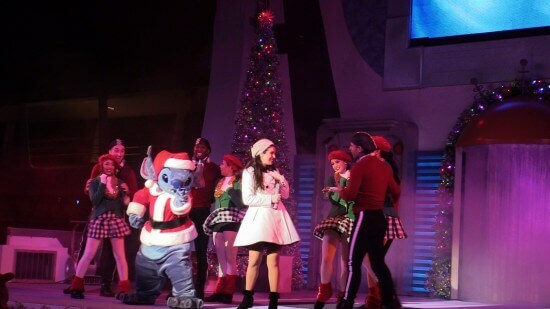 The show starts off with Haley on a mission with her pal Stitch to track down Santa. 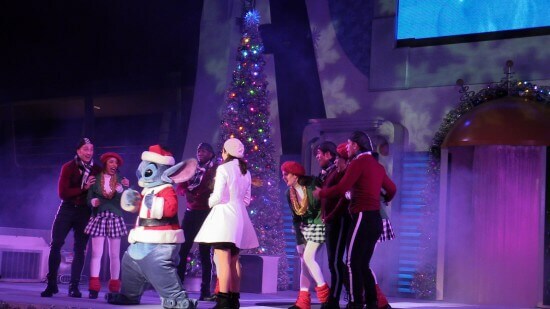 As expected when Stitch is involved, things get a little mischievous. 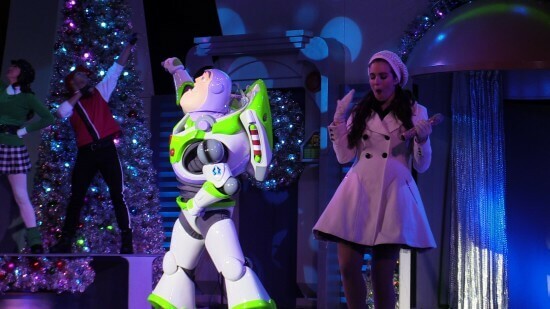 But to help tell her tale of the holidays until Santa arrives, she brings out Buzz Lightyear to tell his tale of the holidays. 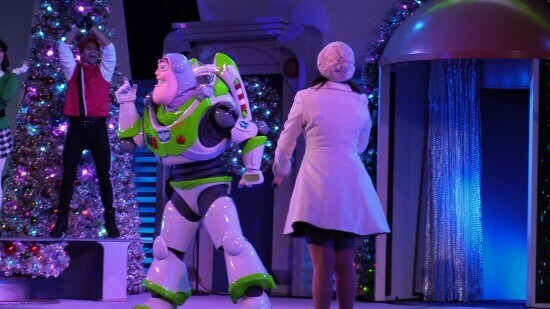 A heartwarming space rendition that even includes the softer size of the Evil Emperor Zurg! 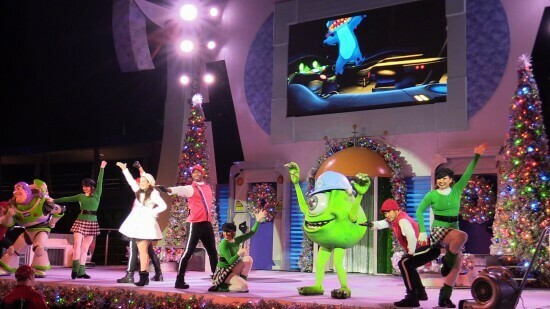 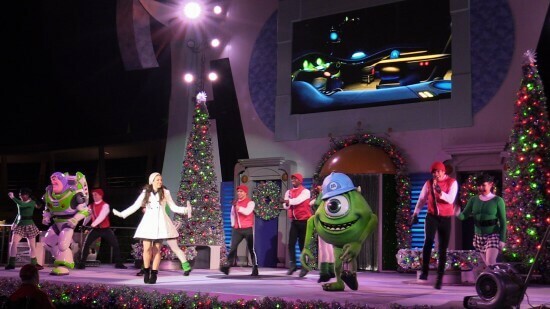 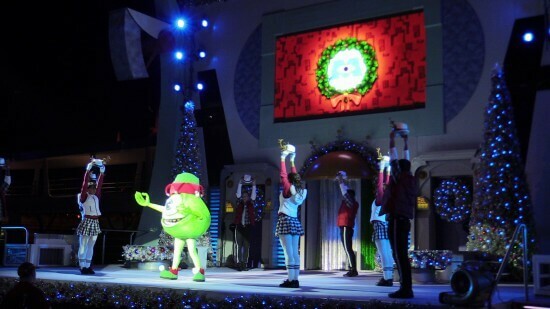 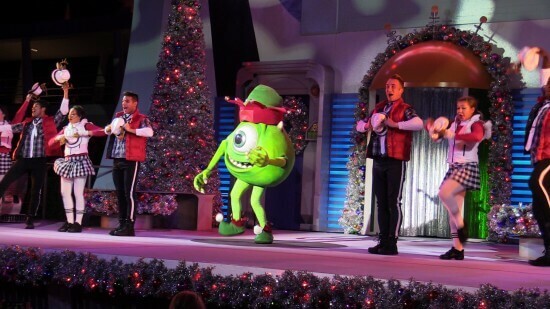 For the next tale, the brains behind the Laugh Floor Mike Wazowski makes his holiday debut in full festive attire. 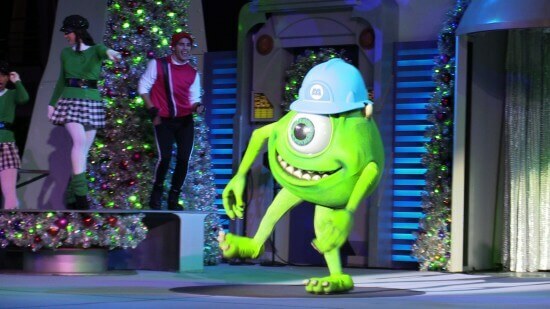 For him, thats roughly an elf hat and shoes, but he’s stylish as always none the less. 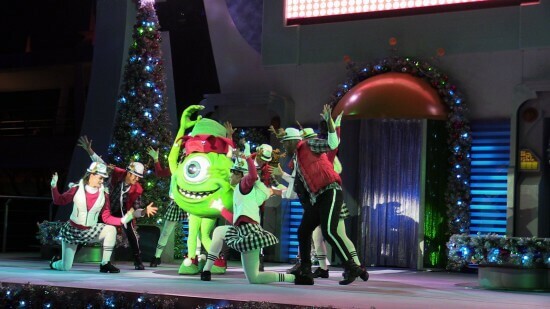 His holiday song and dance is anything but frightening (maybe his singing voice might scare you slightly) as he brings to life his version of a holiday classic. 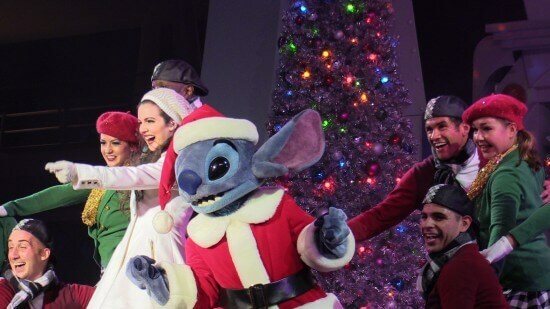 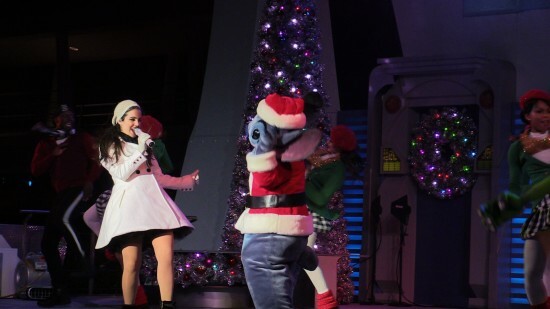 To close out the show, even though Santa may have given Stitch the slip, he makes sure that Christmas arrives for Haley by crashing the party in the most jolly of ways. 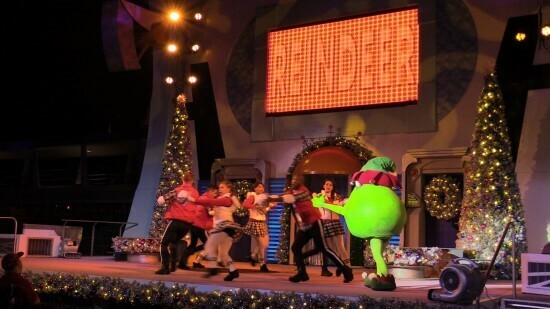 Even though he’s usually on the naughty list, he makes up for his badness level this year as the show’s finale takes place. 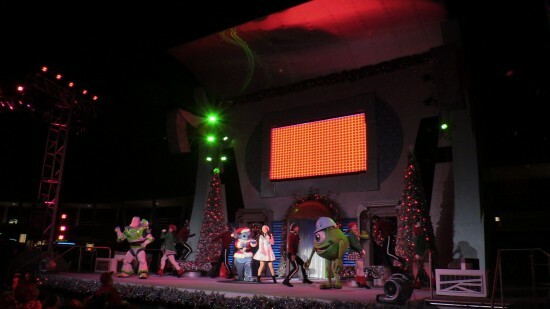 In the end, all the characters join in on stage for a heartfelt and upbeat celebration of the season with a surprise at the end. 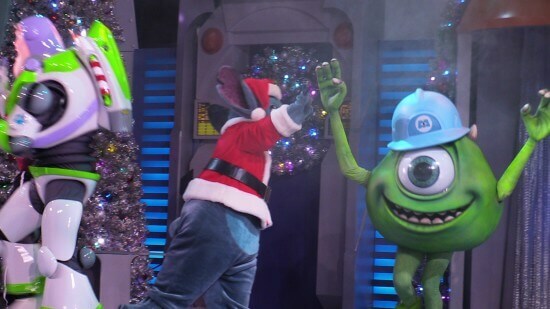 You can find out the surprise by watching the video we’ve included. 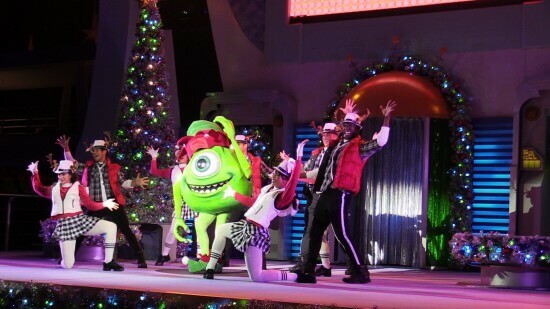 This performance runs nightly, exclusively during Mickey’s Very Merry Christmas Party until mid-December. 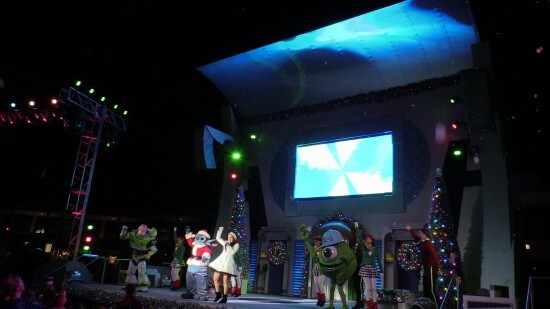 Then after all the separate ticketed parties conclude, the show is presented nightly with regular park admission from mid-December until the end of the year.